Over the past two months, several mental health professionals in the media (and on my LinkedIn feed) have diagnosed President Trump with one mental health condition or another. During the election, there were calls to reverse the ethical standard that states psychologists, social workers and counselors should not diagnose an individual without personally observing them, which is largely the result of the Goldwater Rule. Some background. 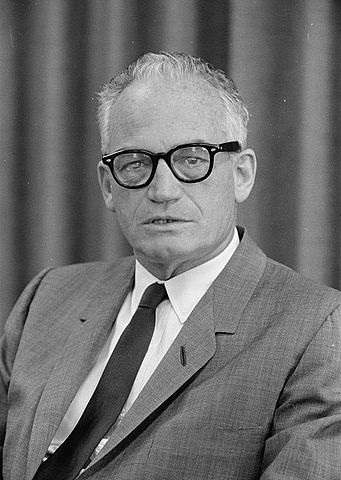 In August 2016 the American Psychological Association (APA) wisely restated and reaffirmed its position on the Goldwater Rule, anticipating the temptation practitioners may feel in throwing their professional hat into the ring. Many in the mental health field may disagree with this decision but it was the right call for several reasons. The first justification and, to my mind, the most important, is the standard that mental health professionals really shouldn’t go diagnosing folks without applying the appropriate assessment – it’s just bad practice. Mental health diagnoses are the result of self reports, discussions with family members, and scales and behaviors observed over a period of time. Attempting to come to a conclusion on a person’s mental health using data carved into sound bytes and pushed through the filter of news outlets sets a really bad precedent as to what constitutes a sound foundation from which to make a mental health diagnosis. Secondly, backing away from the Goldwater rule would compromise the integrity of mental health services by politicizing what practitioners do. Is four years of Trump really worth the mental health sector’s credibility being called into question every election cycle? The mental health sector already struggles with a public image problem despite the large gains made in recovering from decades of bad behavior. That’s not to say professionals should avoid public discourse, but it should connect to a relevant issue and lead to a meaningful impact. For example, it’s perfectly reasonable to discuss the impact of Trump’s narrative and tone on the American psyche. I think it is necessary to look at and speak to the impact his policies will have on mental health services. These are areas where mental health professionals can have the most pull and where their political capital is most effectively spent. What have been the consequences of psychologists diagnosing President Trump? Has there been any real change? The cost, potentially, is alienating a portion of the population – causing more harm and absolutely no good. One can argue that presidential candidates should undergo a psychological evaluation and that this evaluation should be made public. One concern I have with this idea is the assumption that a mental health condition is something that should prevent an individual from becoming president. Many people with mood disorders, anxiety disorders and personality disorders can be highly effective at their jobs – their performance, not a diagnosis, is what determines their merit. This can also create a secondary problem in re-stigmatizing mental health issues, which then creates barriers in individuals accessing care or support. A reversal of the Goldwater Rule would place mental health professionals in the position of influencing elections in ways that are highly inappropriate and runs the risk of turning what is still a subjective area of medicine into a political weapon. Mental health professionals are not perfect in their conclusions, diagnoses change over time, and what is pathology today may not be tomorrow. Whether the American public is qualified to elect a president is not for psychologists to decide. That is left to the consequence of choice. This election provided a strong test of the APA’s commitment to sound, ethical practice. I’m highly encouraged by the fact that they appeared to have passed it.